If you have suffered an injury and are looking for sports injury therapy in the Thatcham area then look no further. Whether it is an ankle injury from running or a shoulder injury from tennis Martin has the knowledge and expereince to help you. 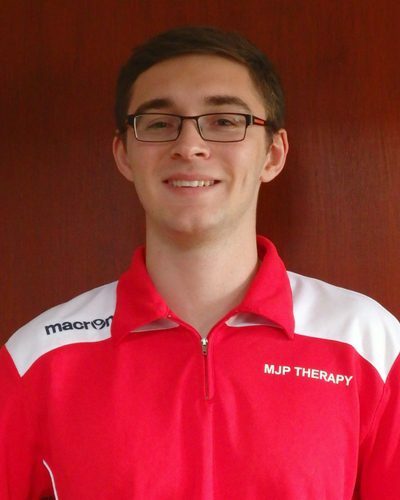 A graduate of the University of Gloucestershire, Martin already has a wealth of clinical and sporting experience. Whilst running his own clinic, Martin is also the Head of Medical at Newbury RFC providing both pitch side support and sports injury treatment and rehabilitation during the season. He also works with the Cyprus National Rugby side. Martin has also begun roles with Bracknell Bees Ice Hockey and England Basketball as well as roles with other junior and representational sides with work taking him all over the UK and Europe. He truly believes that sports injury therapy is for all ages and abilities (Martin’s youngest patient is 13 years old, with his oldest being in their 70’s!) and takes a person right through their issue – from initial injury right through to full participation in their chosen activity and uses a combination of hands-on manual treatments and rehabilitative exercise. No matter your injury or condition – there is always treatment!